B2Gold Corp (NYSEAMERICAN:BTG) posted its gold revenue and gold production for the full year 2017 in addition to its cash cost guidance and production for 2018. All figures are in U.S. dollars unless otherwise mentioned. B2Gold posted strong consolidated gold production for the year. The gold production came at 630,565 ounces, surpassing the upper end of the projection range of 580,000 ounces to 625,000 ounces, and exceling the top end of the initial projection range of 545,000 ounces to 595,000 ounces. 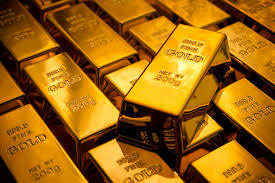 Annual consolidated gold revenue came at $638.7 million. Consolidated cash operating costs an ounce and all-in sustaining costs per ounce for the year are anticipated to be at, or below, the reported low end of cost guidance projections. Fekola Mine construction was completed in September 2017, more than almost a quarter ahead of the planned schedule. Also, it recorded commercial production in the last week of November, four months ahead of the preliminary schedule. B2Gold reported that Fekola Mine gold production stood at 111,450 ounces in 2017, far exceling the upper end of its previous guidance range of 45,000 ounces to 55,000 ounces following its early start-up and robust ramp-up performance. With the intended first full year of production from company’s Fekola Mine, the outlook for this year remains for dramatic production growth of around 300,000 ounces versus 2017. Looking forward, B2Gold will focus will remain on continuing its impressive financial and operational performance from current mines and continue with strong development and exploration programs to reveal the potential of its current portfolio of properties. For B2Gold, last year marked as a remarkable year of performance, with strong number of consolidated gold production for the ninth successive year, and the successful commissioning and construction of its Fekola Mine in southwest Mali which recorded commercial production in the last week of November 2017.